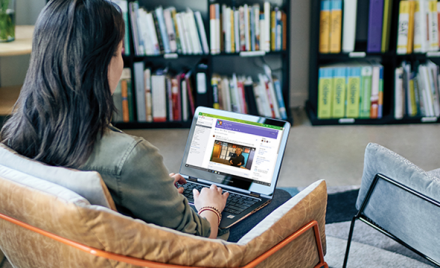 Use Microsoft 365 to discover new ways to foster connection and engagement between leaders and employees at every level in your organization. Today, during the SharePoint Virtual Summit, we shared our vision for creating a more connected organization. We are excited to announce several new capabilities that make it easier to connect and engage—especially through the power of SharePoint and Yammer together—whoever and wherever you are in the organization. Yammer now integrates with Office 365 Groups, automatically giving all new Yammer groups a shared OneNote, Planner, SharePoint document library and SharePoint site. You and the members of your group can now readily access shared Office 365 resources right from within Yammer. —Read on to learn more. Forrester released a report evaluating enterprise collaboration providers, and Microsoft is named a Leader. —Read on for details. Read more Forrester’s 2016 Enterprise Collaboration Wave report is out and Microsoft is a Leader! Read our interview with Simon Terry from Change Agents Worldwide on Working Out Loud Week. Join Yammer and millions of teams around the world during International Working Out Loud Week by creating a space for your team to work out loud. Having visibility and control over your data within the cloud services you use is a critical part of organizational compliance and security. Today, we are announcing new auditing and reporting capabilities for Yammer via the Office 365 Management Activity API and the Office 365 Security & Compliance Center. To be truly productive, team members need to be connected to each other and to the tools they need the most. Now you can create Office documents directly in Yammer and easily share files from OneDrive or SharePoint. —Read on to learn more. Today, we’re pleased to announce that Yammer is integrating with Office 365 Groups, bringing together the power of open collaboration with the productivity tools millions rely on every day. It’s no secret that the right project management software increases productivity for project managers and their teams. But which five tools are often overlooked? —Read on to find out. Yammer now supports mobile application management (MAM) with Intune—enabling IT to manage and protect data on Yammer’s mobile apps. Today, Microsoft Mechanics takes a deep and hands-on look at updates to Yammer for enterprise social—from enhanced security and compliance to greater team productivity. Angus Florance, from the Yammer team, demonstrates new integrated experiences, including Office 365 Video and Delve. And for admins, we’ll show you new controls for analytics, merging networks and managing users.